If you are close to us we will gladly perform the software upgrade of your machine at no charge. 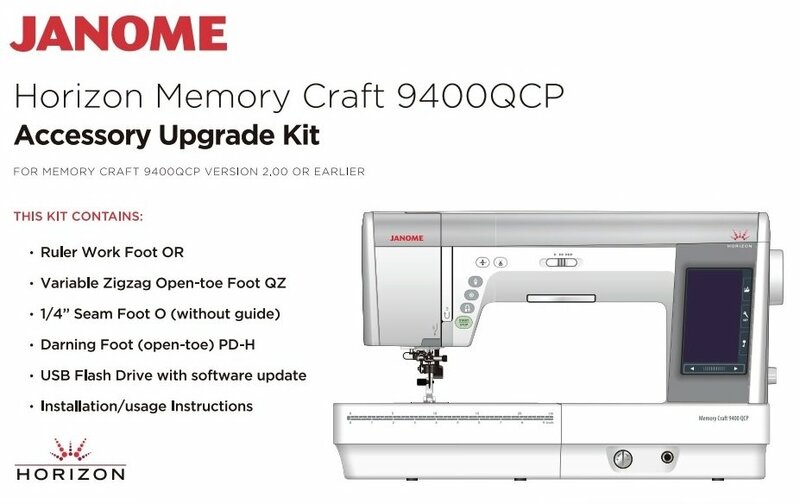 Get more out of your Horizon Memory Craft 9400 QCP This upgrade kit unlocks new features in your machine and the new accessories make difficult sewing techniques easy! Included in the kit are four new presser feet and a USB containing the upgrade for your machine. Plus a USB containing the machine upgrade!